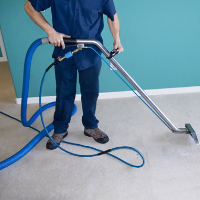 Refresh your living spaces with carpet restoration and upholstery cleaning from Flood Fire Pro of North Attleboro MA and Greater Providence Rhode Island MA. Let our exacting attention to detail revive the color and cleanliness of your carpets, sofas, and chairs. We provide spot treatment, truck-mounted water extraction, deodorizing, and disinfecting. In addition, we do minor carpet repairs and apply dust-mite treatments. Treat yourself and your family to the comfort and pleasure of fresh, bright carpet fibers, and upholstery fabrics. Call us for a free estimate today. We’ll also never hit you with hidden travel charges. You can trust us to treat your carpet carefully like the investment it is. We don’t just want to be your one-time carpet restoration cleaner. We want your repeat business. Call us today. Contact Flood Fire Pro Inc. today at 800-446-3776 for all of your disaster and carpet restoration needs.